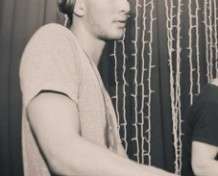 Although having DJ’d around the block for 5 years, JimiJ has never felt more at home anywhere in Perth than at Geisha. Previously playing marathon 7-8 hour sets at a club whose name will not be mentioned, Jimi experimented with mixing different genres at a costly price. On a more serious note, his own productions have started to find their way into some large hands. Hands belonging to Jaytech, Marcus Schossow and Armin Van Buuren – the latter of which played his track ‘Mea Culpa’ three times on his latest A State of Trance 600 tour around the world. You probably won’t be able to check JimiJ mixing for 8 hours at Geisha…but we promise his sets will be shorter and just as sweet.